that people can’t take their eyes off you. The Official One: Marlo Berliner is an Associate Literary Agent for the Jennifer De Chiara Agency in NY. She is also the award-winning, Amazon #1 bestselling author of THE GHOST CHRONICLES, her debut book which was released in November 2015 to critical acclaim. The book won the 2016 NJRW Golden Leaf Award for Best First Book, was named FINALIST in the National Indie Excellence Awards for Young Adult Fiction, received the Literary Classics Seal of Approval, was awarded a B.R.A.G. Medallion, and was named one of the “best indie YA books we have seen in the past year, from both self-publishers and small presses” by IPPY Magazine. Her second book in the series, THE GHOST CHRONICLES 2, was released in October 2017. 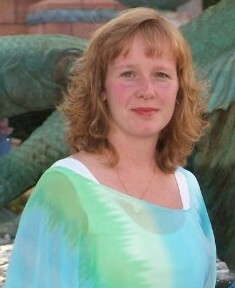 Marlo writes young adult, women’s fiction, and short stories. In 2011, she served as Conference Chair for the New Jersey Romance Writers Conference and in 2013 as the Editor/Agent Chair. In addition, she has served on the NJRW Board for three previous years. She is an active member of SCBWI, RWA, NJ-RWA, YA-RWA, and TeenLitAuthors. The Fun One: As a young girl, I grew up reading Conrad, Dickens, Fitzgerald, Hemingway, Joyce, Salinger, Steinbeck, etc. Along with all the classic works of literature, my alter ego read every book I could get my hands on that dealt with the strange and otherworldly. I loved stories about The Bermuda Triangle, the pyramids, legendary monsters, ESP, psychic abilities, aliens, and of course, ghosts. I’ve always been fascinated with all the mysteries out there that we haven’t solved yet. Growing up in New Jersey, I attended Hun, a college prep school, in picturesque Princeton within walking distance of the university. I later earned B.S. degrees in both Industrial Management and Economics from Carnegie-Mellon University in Pittsburgh. During my education at both Hun and CMU, teachers and professors told me I had a true talent for writing. I even had one professor beg me not to stop writing, but like everyone else, I chose a more lucrative career in Corporate America. Honestly, I never planned to write a book. I had my ‘eureka’ moment one day while sitting on the beach in the Outerbanks of North Carolina (for those of you who don’t know where that is, I urge you to find out and go visit). At the time, I was reading Harry Potter and the Chamber of Secrets. Chapter Eight, The Deathday Party, deals with ghosts and provided the spark that ignited the fire to write The Ghost Chronicles. As a flood of ideas filled my head, I scribbled down a rough outline and the book quickly took shape. When I tell people the title of my first book, I invariably get asked if I believe in ghosts. I like to say I believe in the possibility that ghosts may exist. I think it’s important to keep an open mind about the unknown. Regardless of whether or not they believe in ghosts, most people could tell you at least one ghost story that happened to themselves or someone they know. I’ve even had a few unexplained incidents myself. Are all these stories and experiences mere coincidence, or is there a thread of truth here? I currently reside in Northern New Jersey. When I’m not writing, I’m busy taking care of my two wonderful sons, my husband, and a rambunctious puppy named Max. I remind myself everyday how lucky I am for my family and being able to do what I love. Some of my favorite authors are: JK Rowling, Lauren Oliver, Madeleine L’Engle, Laini Taylor, Dan Brown, Mitch Albom, Neil Gaiman, and Stephen King. You can learn more by watching my interview on this episode of the TV show, The Spark, which aired in September 2016 on PBS’s WHYY-Philadelphia TV station. Or you can watch my interview which was streamed live on Facebook in July 2017. For rights inquiries, including foreign and film, please contact the author. THE GHOST CHRONICLES won the 2016 Golden Leaf Award for Best First Book. THE GHOST CHRONICLES earned the Literary Classics Seal of Approval in 2015. THE GHOST CHRONICLES was named FINALIST in the 2015 National Indie Excellence Awards. THE GHOST CHRONICLES was awarded a B.R.A.G. Medallion. THE GHOST CHRONICLES was named one of the “best indie YA books we have seen in the past year, from both self-publishers and small presses” by IPPY Magazine. THE GHOST CHRONICLES was shortlisted for Book of the Year by Books Go Social. THE GHOST CHRONICLES 2 was named FINALIST in the 2015 National Indie Excellence Awards. THE GHOST CHRONICLES 2 was awarded a B.R.A.G. Medallion. 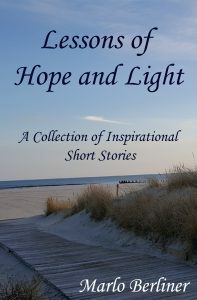 79th Annual Writer’s Digest Writing Competition – Honorable Mention for THE GIFT, in the Mainstream/Literary Short Story Category, which is now included in LESSONS OF HOPE & LIGHT, A COLLECTION OF INSPIRATIONAL SHORT STORIES, available on Amazon.